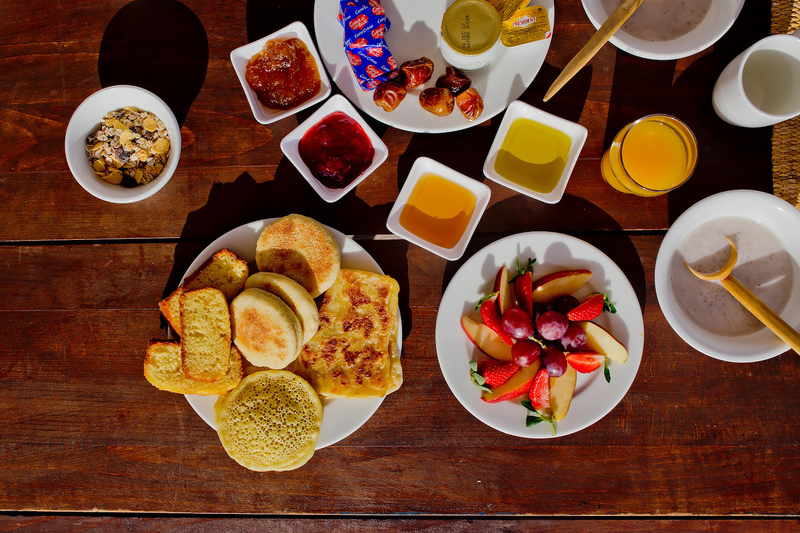 Marrakesh is an incredibly exciting and vibrant city. 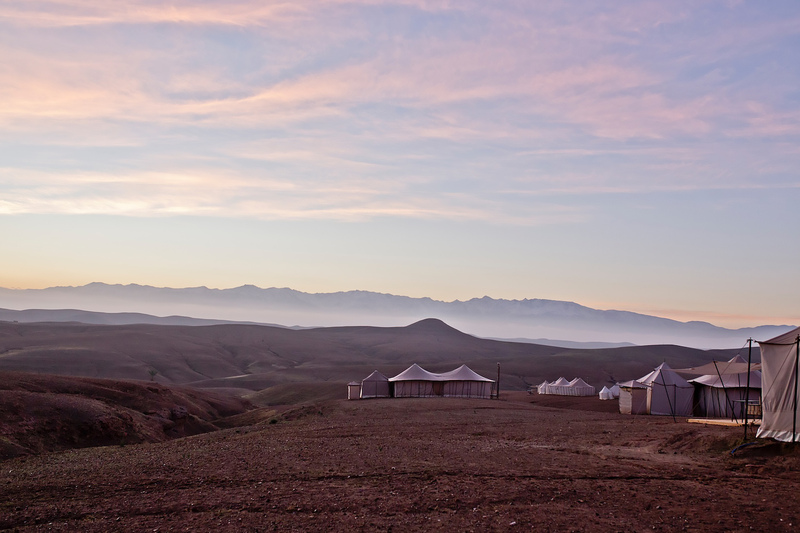 If you spend more than two or three days in Morocco, I strongly recommend you to get out of the city for a bit. 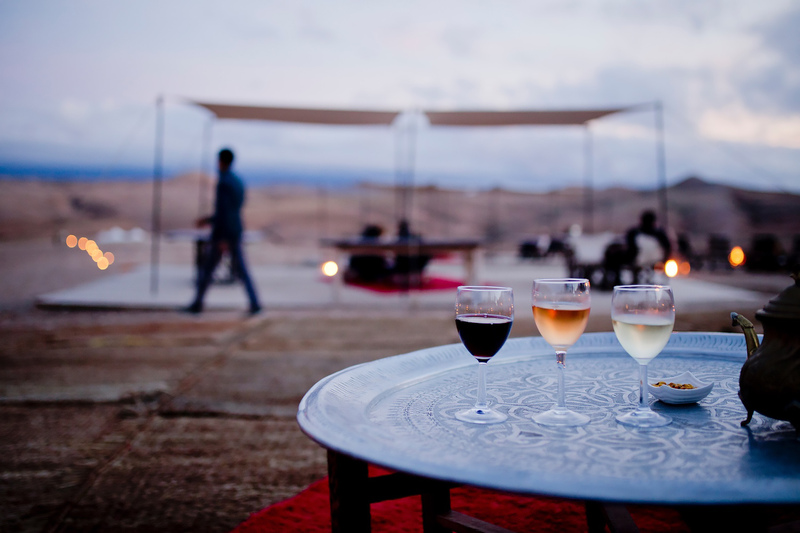 There was only one wish for us – off to the (stone) desert! 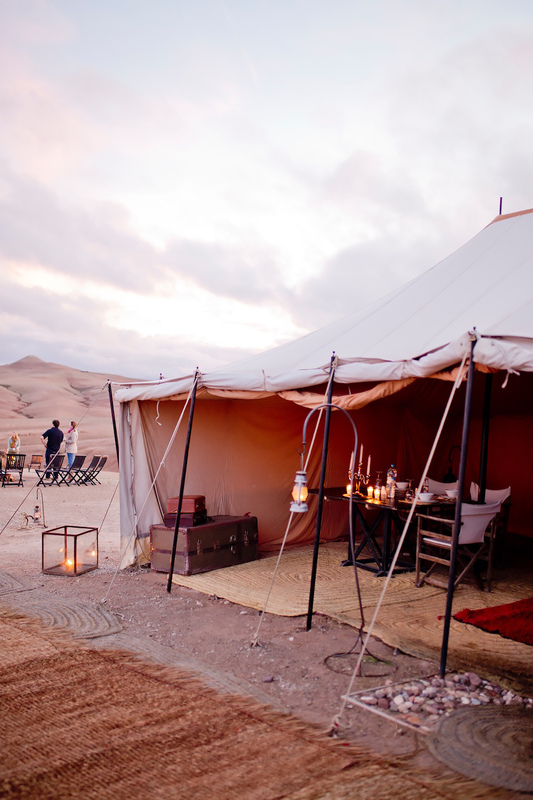 Want to get more desert feeling? 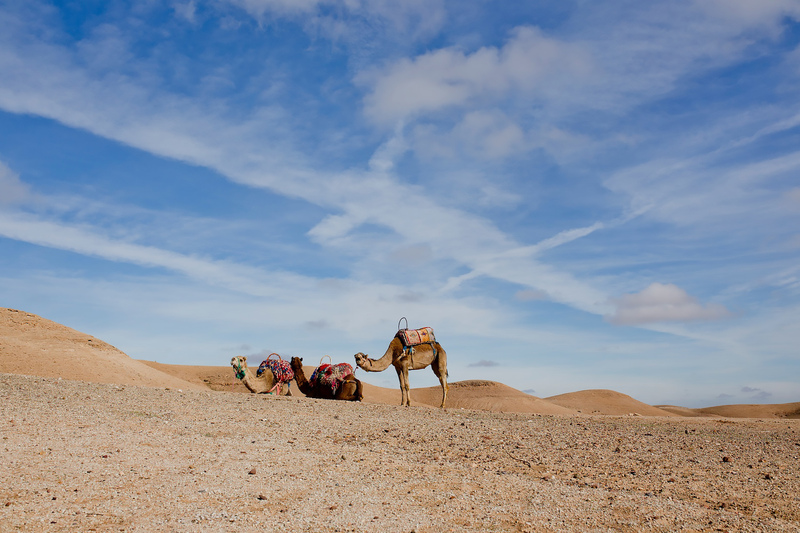 Check out my sand desert experience in Dubai! The stone desert is about 30-50 minutes outside of Marrakesh. The proximity is ideal for a night. 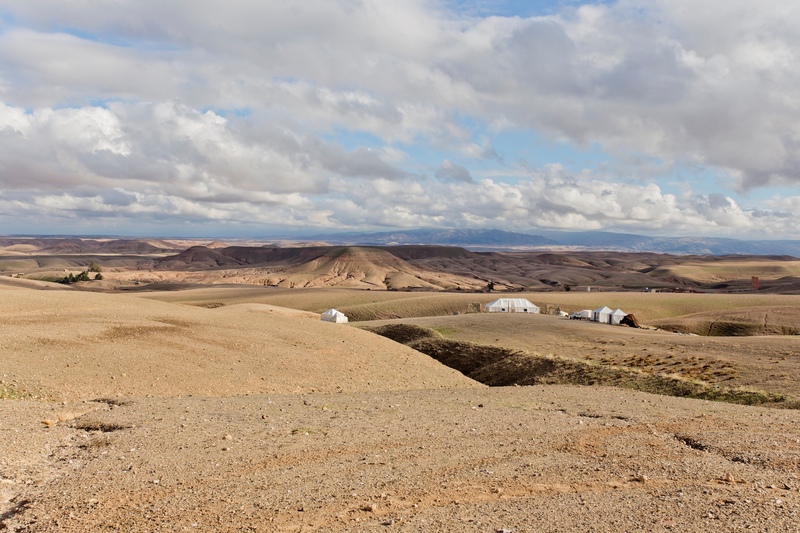 The sand desert is at least 8 hours away from Marrakesh. 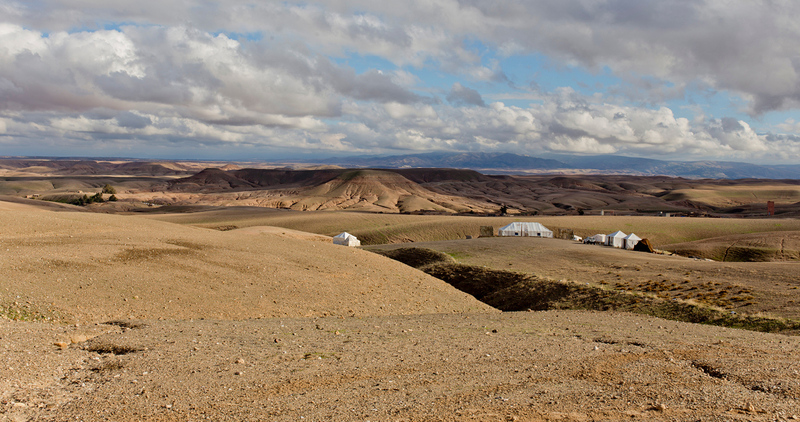 There are two big deserts: Erg Chegaga and Erg Chebbi. I will definitely visit these at the next stay. 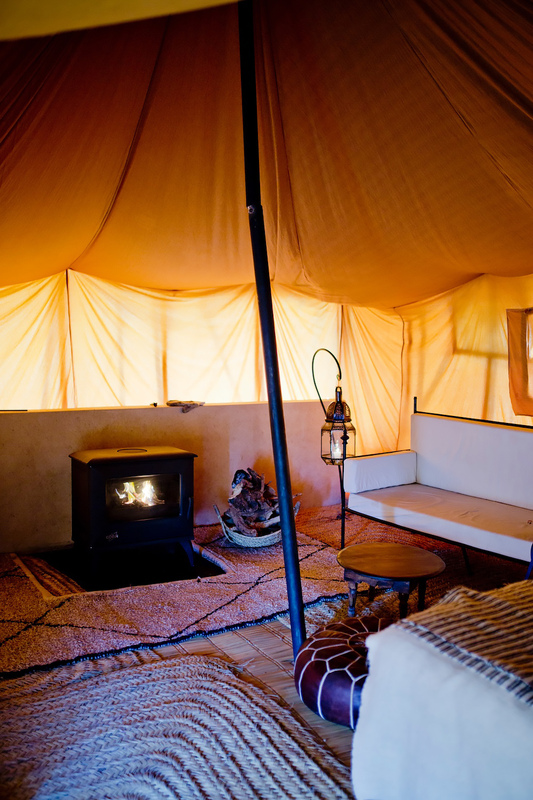 For the perfect “Berber” feeling we chose the Boho “Glamp*” the Scarabeo Camp. Our ride was relaxed and our driver was super nice. Fortunately, I speak French very well, so local communication is a lot easier. The journey was a perfect way to pit our driver with any questions about Marrokko that had accumulated over the course of the day. We arrived around 3pm and had plenty of time to enjoy the camp. 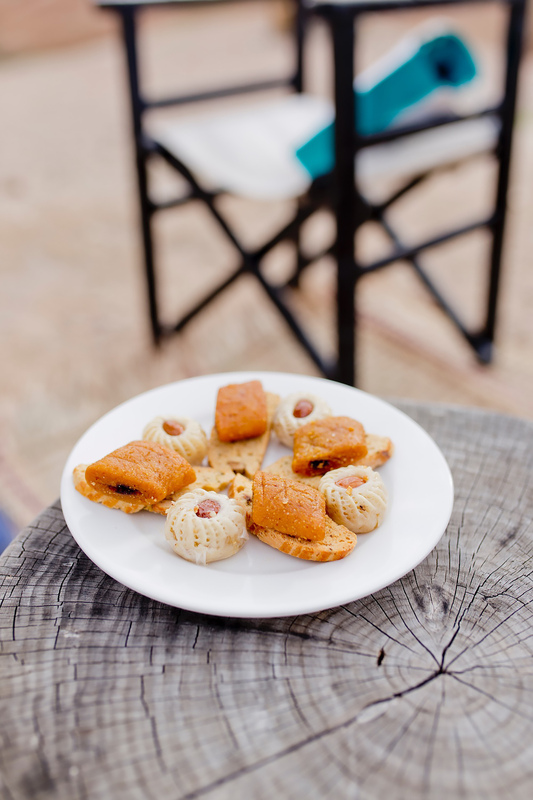 While our bags were brought into our family tent, we were greeted with a fresh Moroccan mint tea and pastries. The rest of the afternoon we spent relaxed, enjoyed the sun outdoors. For those who find it difficult to just relax and unwind, I strongly recommend taking a card game with you. 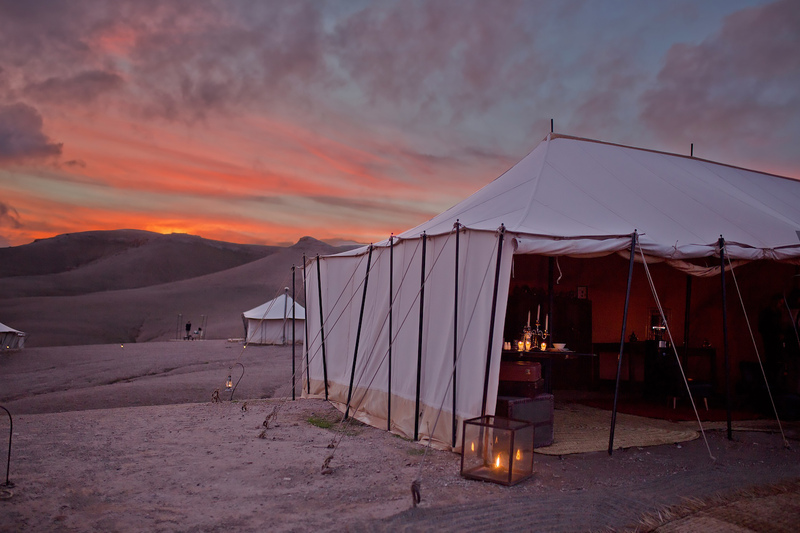 I recommend you to book directly through the Scarabeo Camp, just as we did. Communication is quick and easy. Write an email with the note that I have recommended you. You will definitely get a better price. 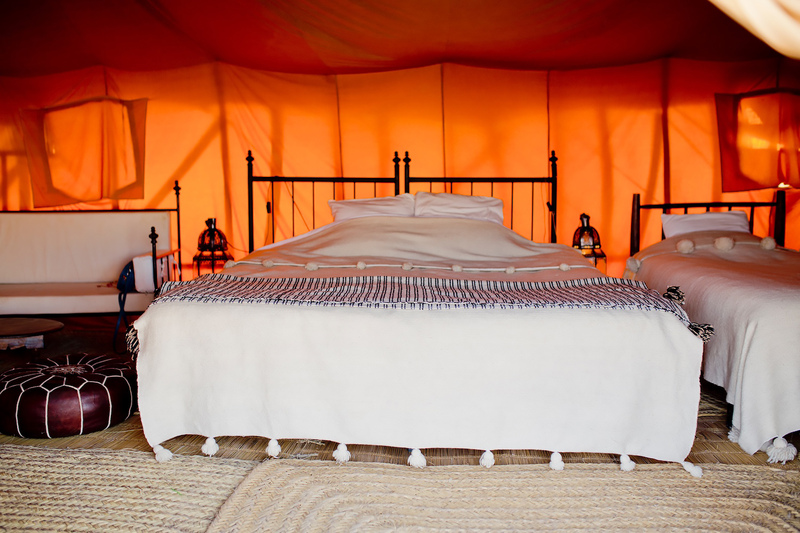 The Scarabeo Camp is not an ordinary camp and therefore has higher prices. Here it pays off to book a family tent from two people, which is a lot cheaper than the double tent. Booking directly with the owner is not for everyone. But this is very well proven in Morocco. 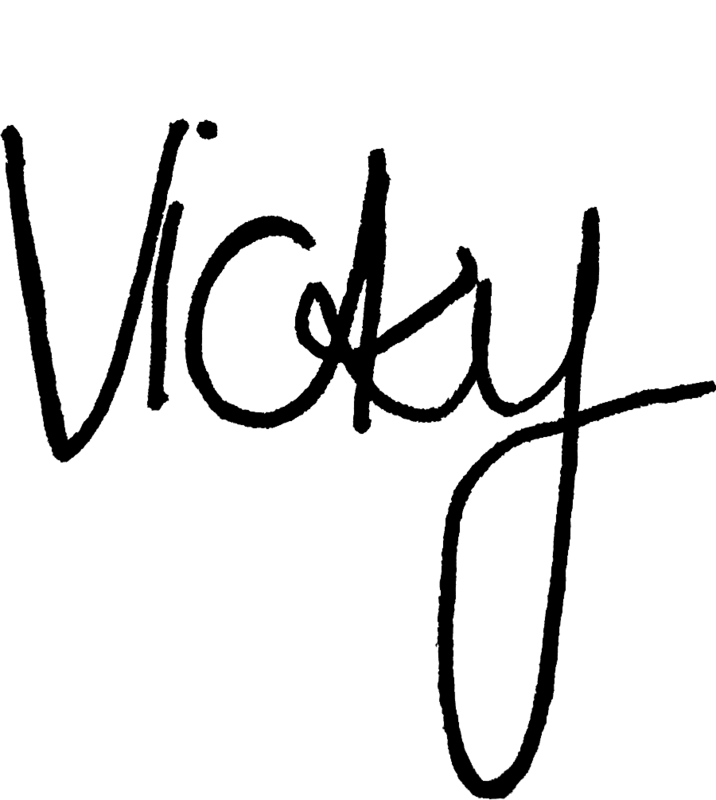 Here you can bargain again on the price and the owner saves the high platform fees. 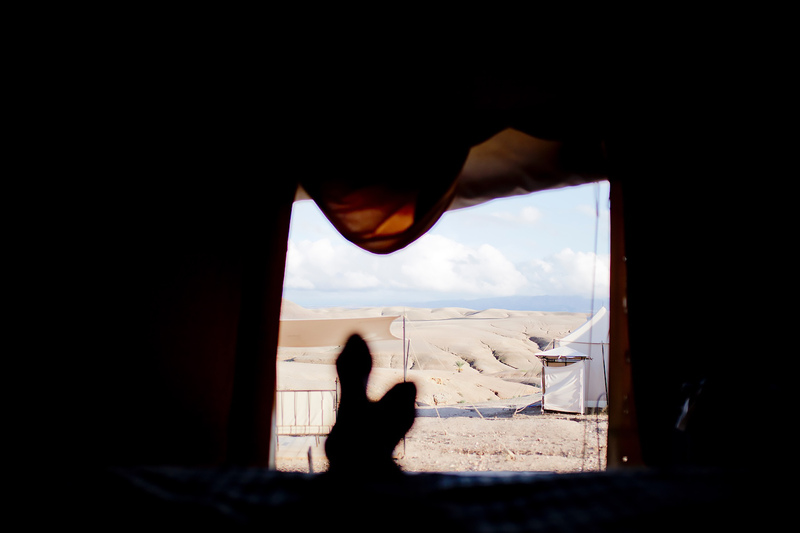 Disclaimer: Disclaimer: we got 50% off our booking – thank you Scarabeo Camp! 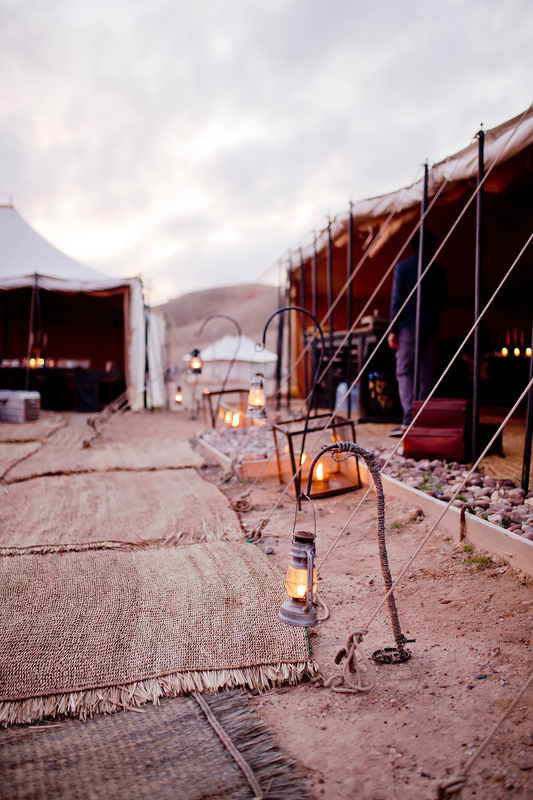 The tents are all decorated in Berber and boho style. On the floor beautiful carpets are laid out. Right on entering we found a small wardrobe with integrated charging station*. To the left of the entrance was a cozy fireplace, which is lit in the late afternoon. 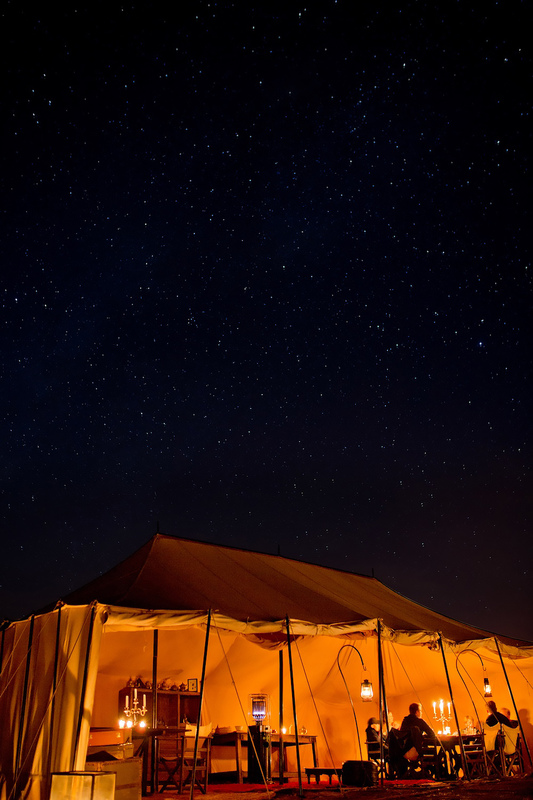 * In fact, the entire Scarabeo camp is powered by solar energy. 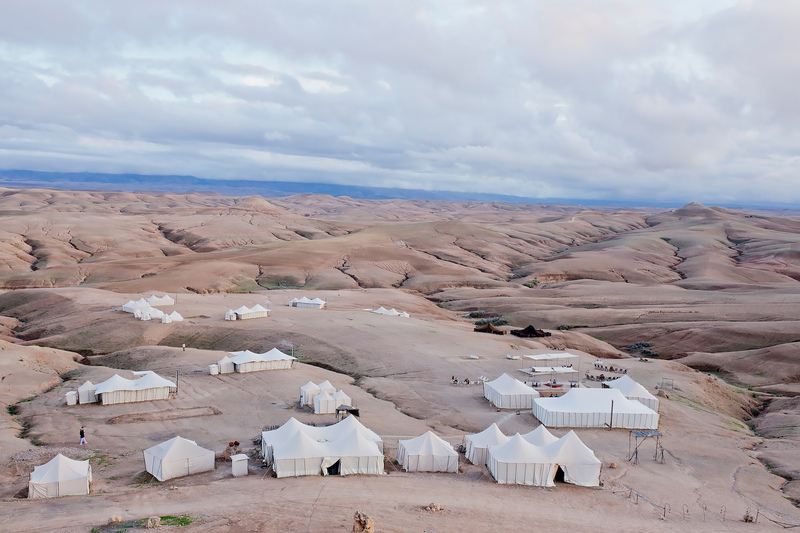 For a longer stay, the camp also offers several activities and excursions. Here you can drive for 2 hours Quad (950 DHS, about 91 €) or buggy (2000 DHS, about 191 €). 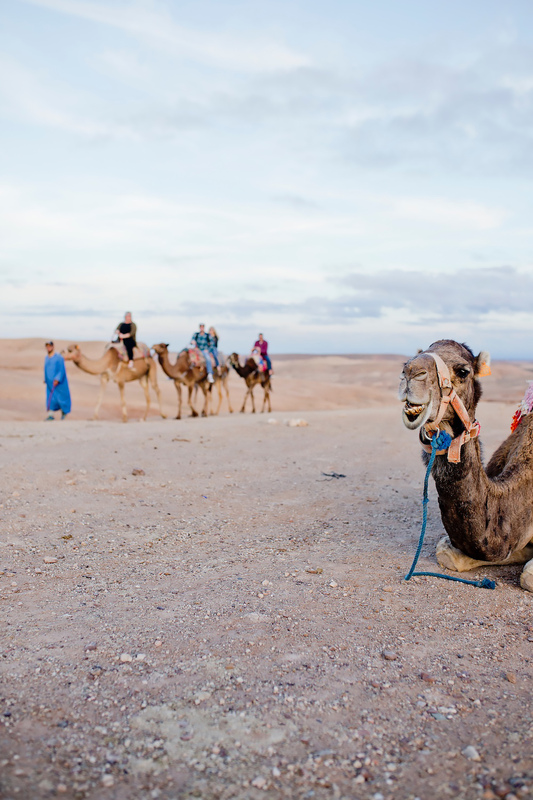 In addition, you can still ride a camel (400 DHS, about 38 €) and many other activities. 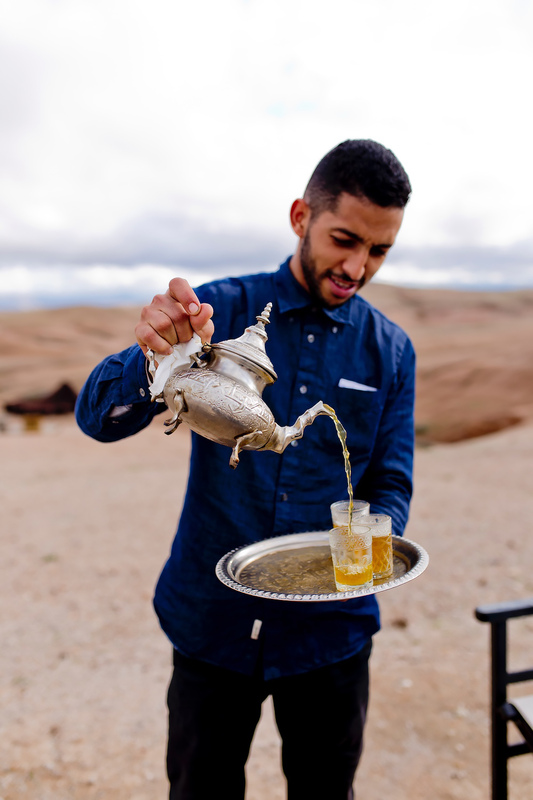 Fancy seeing Marrakesh from the top? You can also book a hot air balloon tour (2250 DHS, about 215 €). After a beautiful sunset mood we got ready for dinner. At night it can be a bit cooler in the tent, so for safety’s sake I have packed a light down jacket. Before dinner, a musician played traditional songs around the campfire. The mood was just perfect. See an impression of this in my Instagram Story. Enjoy the live music at the campfire here! 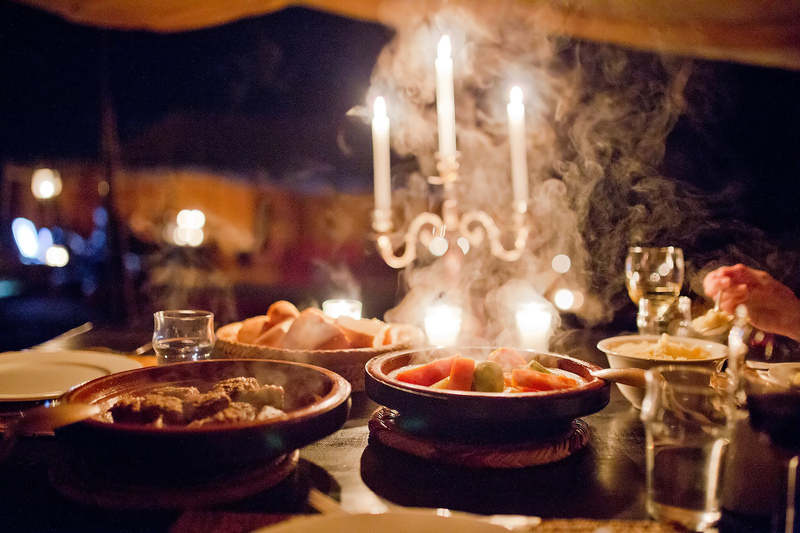 The menu featured traditional Moroccan food with a vegetable soup, followed by a Moroccan tagine with lamb, beef and vegetables. Everything was delicious! Afterwards we had the evening with a glass of wine by the campfire with live music. The starry sky was amazingly beautiful. I do not remember when I last saw the stars in Berlin. Unfortunately, our stay in Scarabeo Camp went by too quickly. I absolutely recommend you staying for one or two nights.